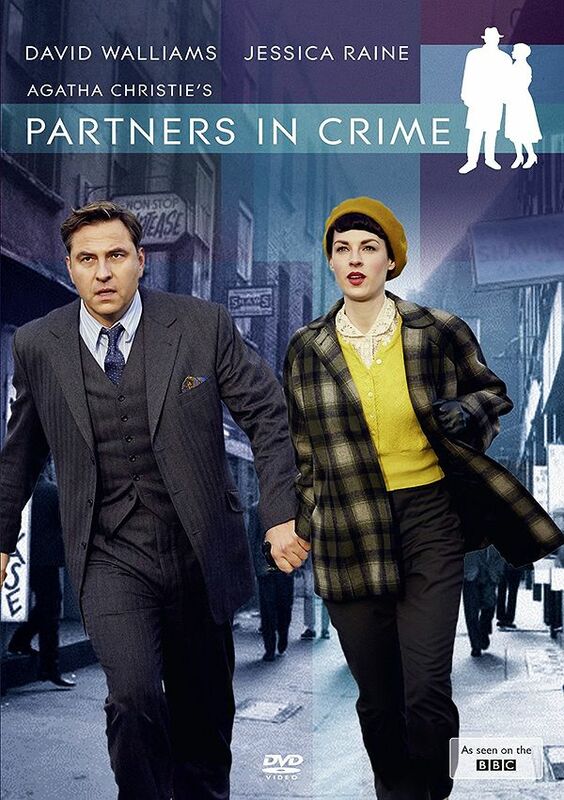 The first episode of Partners in Crime, a new television show from the BBC, aired on Sunday. Since crime dramas are my bread and butter I was intrigued; with the addition of a cast including Jessica Raine (Call the Midwife, An Adventure in Space and Time), David Walliams (Little Britain, Stardust), and James Fleet (Death Comes to Pemberley, Outlander) I was thoroughly excited at the prospect! The mini series is based upon two novels by Agatha Christie, The Secret Adversary and N or M? The stories revolve around the investigative efforts of Tuppence and Tommy Beresford in London during the Cold War. The miniseries includes six episodes with the first three based on Christie’s The Secret Adversary and the last three on N or M? The first episode got off to a rather rocky start. However, as the story and Tommy’s antics got more involved, I found myself waiting with semi-bated breath to see what the two amateur detectives would do next. Walliams’ Tommy is charming, bumbling, thoroughly likable, and a mess — he’s the main reason I continued to watch the episode. About halfway through the episode it appeared as though they were finally finished with setting the scene, and I was excited to see that the show I had been expecting had arrived. While Raine is an actress I have admired — especially for her role in An Adventure in Space and Time — I initially found her performance to be rather forced here. Walliams is charming throughout while Raine appears to be getting into character for the first bit of the episode. However, Raine’s Tuppence blossoms into a vibrant and clever amateur detective by the end of the episode (which is perhaps what the creators had in mind after all). By the end of the episode — with two cliffhangers and an adorable dog — I was fully drawn into the crime and the characters and was thoroughly annoyed when the end credits popped up. Considering the rocky start of the episode I was a little disappointed at first. By the end, however, I was hooked. I’ll give the show 7 of 10 and I will be watching next Sunday to find out what happens.